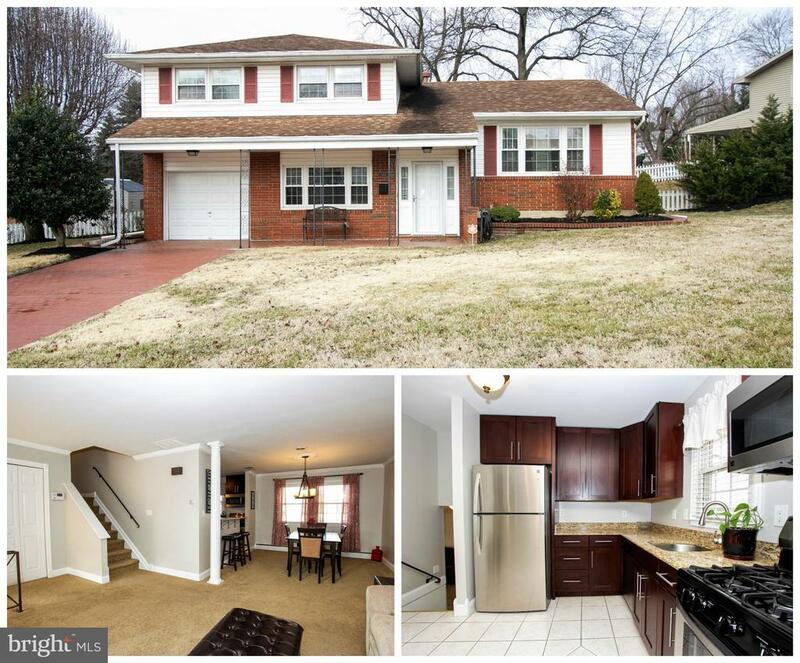 TURN-KEY & Gorgeously Updated 4 Bedroom, 4-Level Split located on a Large Corner Lot! Beautiful Kitchen with Granite Counters, Stainless Steel Appliances, and Breakfast Bar! Spacious Open Floor Plan! Bright and Large Living Room and Dining Rooms Both Accented with Crown Molding and Fluted Columns (Hardwood Floors Under Carpet)! Huge Family Room with Crown Molding and a Walk-Out to Your Covered Brick Patio is Perfect For Entertaining! Gleaming Hardwood Floors in all of the Upper Level Bedrooms along with Crown Molding! Updated Designer Hall Bath with Beautiful Ceramic Tile & Crown Molding! 4th Bedroom/ Office off of the Family Room. Large Fenced in Yard and Shed! A Brick Driveway Leads you to Your Garage and Covered Front Porch! Newer Boiler and Windows! Freshly Painted! This is as Turn-Key as they Get!!! Selling Office: Maharzada Realtors Inc.